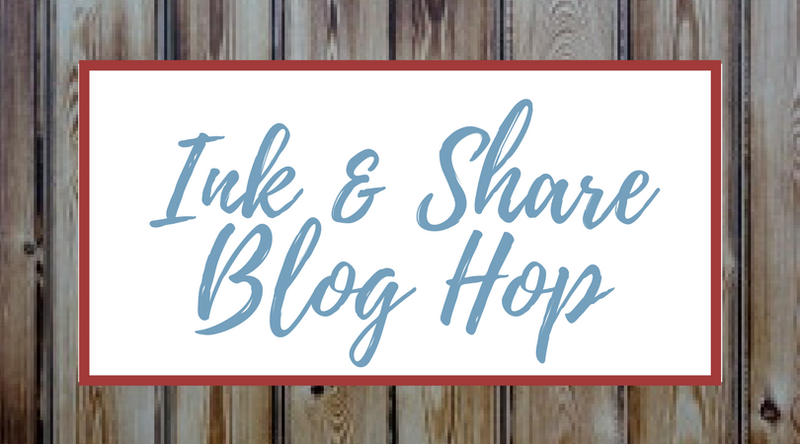 Welcome to another Ink & Share Blog Hop. Todays theme is the Occasions Catalogue, or here in the UK, the Spring/Summer catalogue. Last November, I felt privileged when I was asked to be one of the six presenters on Stage at our bi-annual On Stage Convention. I was given the Tutti Frutti Suite, featured on pages 28 & 29 to demonstrate with. 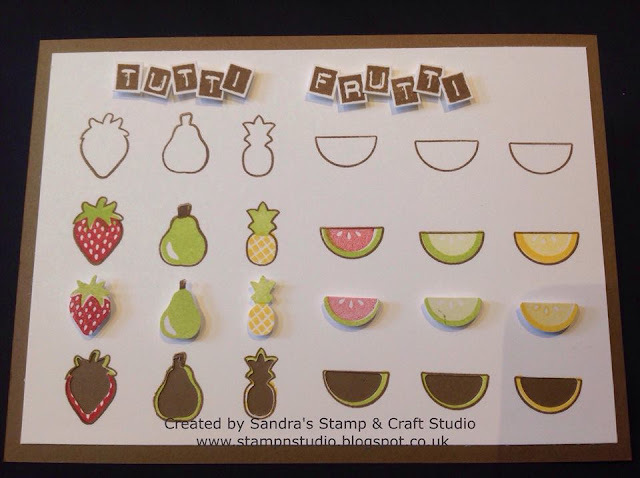 This Suite contains the Fruit Basket stamp set #145833, coordinating with the four Itty Bitty Fruit Punch pack #145657 which, bought together as a Bundle, will save you 10% using code #145977. To showcase this bundle, I firstly created a sampler showing the images in detail, together with how different the stamped and punched images look. Each presenter was asked to set an On Stage challenge to the audience. Mine was to create some of these handmade Business card holders and leave in prominent places, like doctors/dentists waiting rooms, beauticians etc. Remember to log where proprietors have agreed for you to display and pop back to refill as necessary. I make my own handmade business cards from leftover pieces of card cut to 8.5cm x 5.5cm. Here are some cards I have stamped with the Fruit Basket stamps onto plain Whisper White card and matted onto coloured card layers. The 'Please Take One' letters were stamped using the Labeler Alphabet #141936, stamped in Soft Suede ink #126978, individually cut by hand and adhered to top of display box using Mini Stampin' Dimensionals #144108. My next project was made for my cousins Body Shop products. The decoration on here was a mixture of Tutti Frutti Designer Series Paper #145606 plus stamped and punched images. The Lemon Lime Twist Mini Striped Ribbon #145611 fastens the box shut. 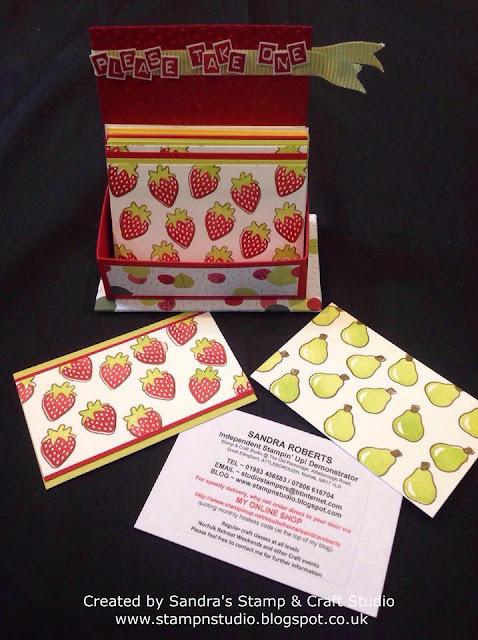 My next two cards feature more of the 6" Designer Series Papers and detailed small pieces of fruit, stamped and punched. 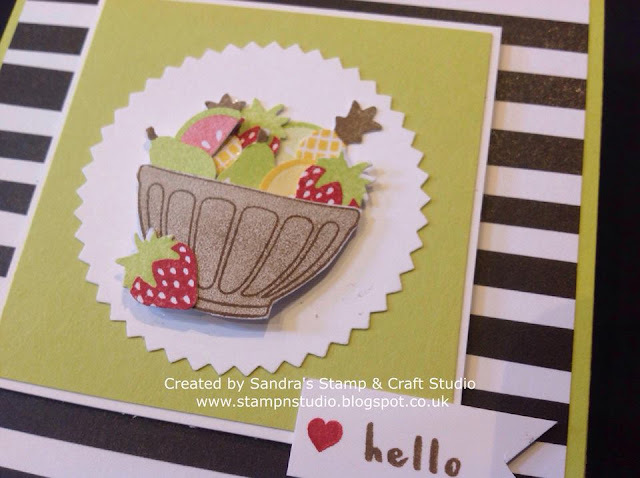 I particularly like this last one, not only because I grew up on a small farm with an abundance of strawberries and other soft summer fruits, but because each punched image was lovingly scored in half and stuck together to make a 3D strawberry ! The Lemon & Lime Twist Mini Striped Ribbon adds a finishing touch once again. I hope you have enjoyed my contribution today and that you continue 'hopping' around the globe once again, admiring the talent that fellow Demonstrators are sharing with you today. 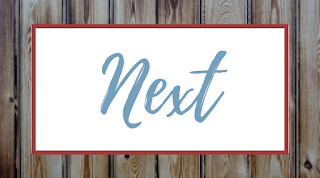 Simply click on the 'Next' button to jump to Joanne's blog. Here is the list of all this months participants, so be sure to stop round all the links. We love to read your comments if you wish. Love all these projects, clever how you have made a 3-D strawberry! What a neat idea to make your own business cards. Your cards are so cute too! 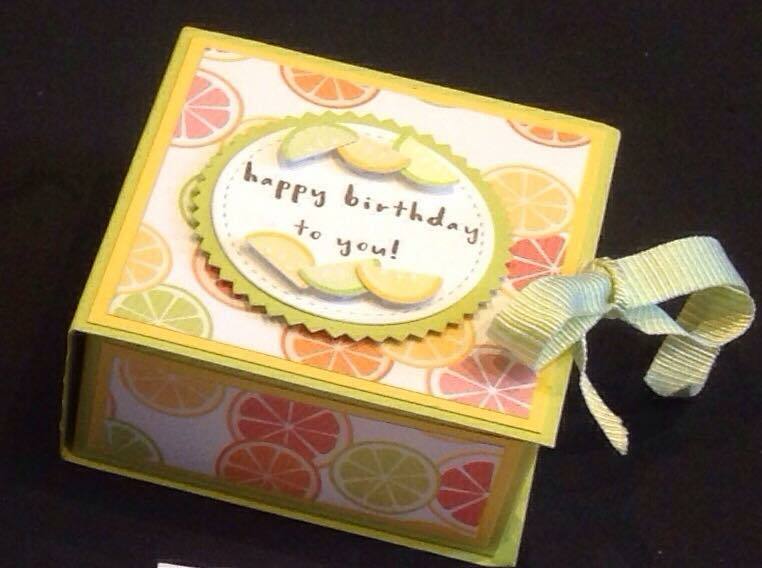 What a great idea to use a box for your business cards! So cute! 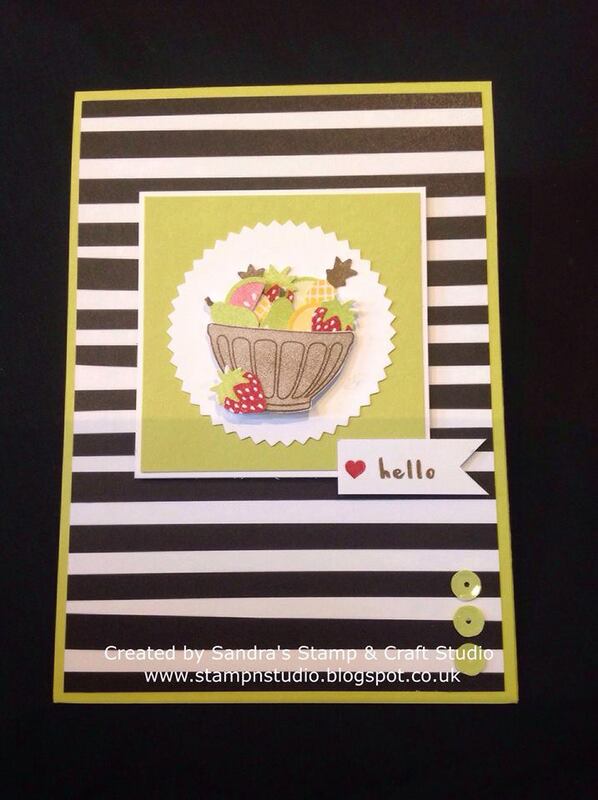 I especially like the card with the black striped paper! Your projects are awesome...love the business cards and box! 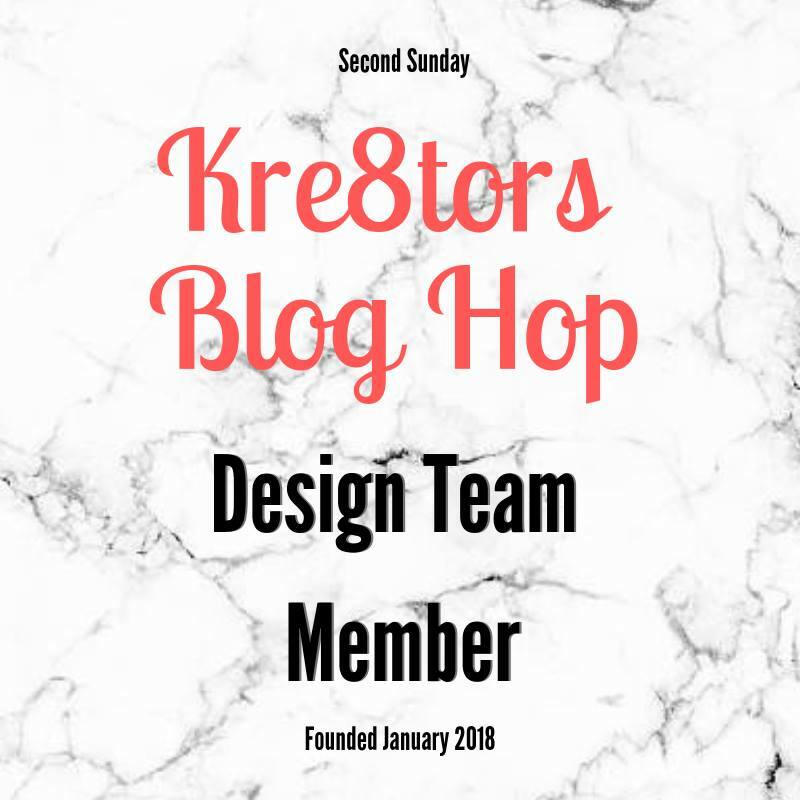 Your businesscardholder is Such a good idea! I love it. 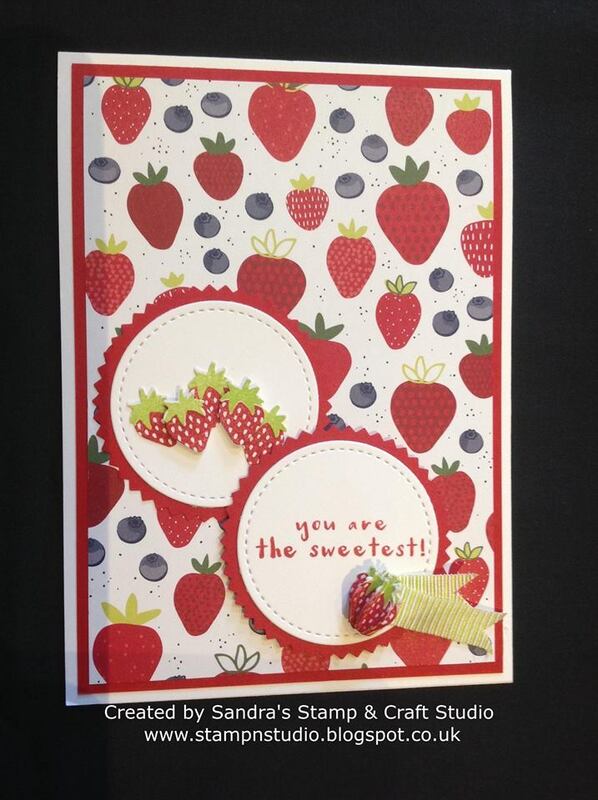 And the 3D-strawberry is gorgeous! 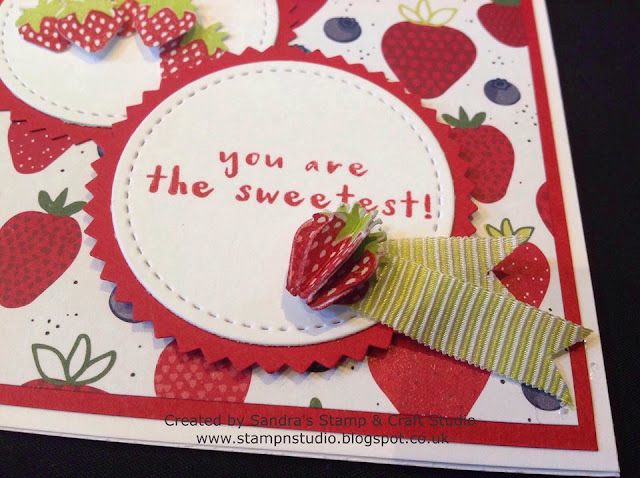 Love them all, but the little 3D strawberry grabbed my eye! Interesting that you shared the DIY business cards because I just handed out my last business card today. 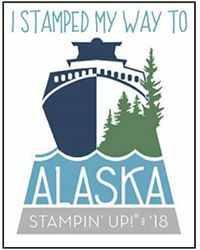 Congrats on being a presenter at Onstage!